can you leverage your analog cctv system investment when upgrading to ip performance? Yes as it turns out you can – and without compromising the performance of what you need and want. This is thanks to HD analog camera technology which has surprised the industry with its usefulness. It allows the existing analog wiring to be reused but still offers HD resolution just as IP cameras do. The net savings can often be 25%. Let’s consider how those who already have a surveillance system and now wish to upgrade to IP performance can benefit. Why should those ready to upgrade consider HD analog technology? Many businesses and institutions with real surveillance needs already invested once or more in the past. At that time the cost effective solution was analog camera technology. Today, IP performance with ten times the resolution and more beckons. The good news is that with HD camera technology you can reuse your existing wiring investment for most of your new resolution needs. 1. Good judgement was used in the locations selected and within the resolution constraints of VGA resolution analog they were effective systems. 2. When installed during new construction typically the wiring was effectively concealed in a manner difficult and expensive to duplicate as a retrofit. In this respect the value of the old installation actually increases when considered in terms of replacement cost. 3. The lifetime of the coaxial cable used with most analog installations far exceeds that of the analog electronics they were installed with. Because HD analog technology can use coaxial the same system can be installed for less. What Is HD analog technology? Products of this family most directly derive from broadcast video developments. HD-SDI specifically represents the high definition viewing quality of the SMPTE 292M standard. Greater capacity has been formulated with successive standards. In 2015 6G-SDI and 12G-SDI have extended the reach of this approach to 4K resolutions. Because of the broadcast and entertainment support for HD-SDI and its related standards, a considerable number of supporting components are now available for SDI systems. Analog High Definition (AHD) was developed by Korean chip manufacturer NextChip, originally specified with a max resolution of 720p, but increased to 1080p in its second version. AHD is best known for having the lowest cost HD analog cameras, often with prices at $10 per camera or less, though typically from vendors with no brand and minimum support. However, recently brands such as Digital Watchdog and Samsung (Hanwha) have also released AHD product. HD-CVI stands for HD Composite Video Interface. It was developed by Dahua the Chinese manufacturer available in North America via FLIR, Honeywell and Q-See. Originally proprietary and exclusive, it has been licensed to others since its version 2 specifications. In 2016, version 3 opened up support for AHD and TVI on their HD analog recorders. Chip manufacturer Techpoint developed the Transport Video Interface in 2012. It has been adopted by several manufacturers including Hikvision. TVI 2.0 was released in 2015 with the announcement of increases in resolution to 5 MP. In TVI’s newest 3.0 release, TVI has added recorder support for AHD and CVI cameras as well as increasing maximum resolution from 5 MP to 4K. 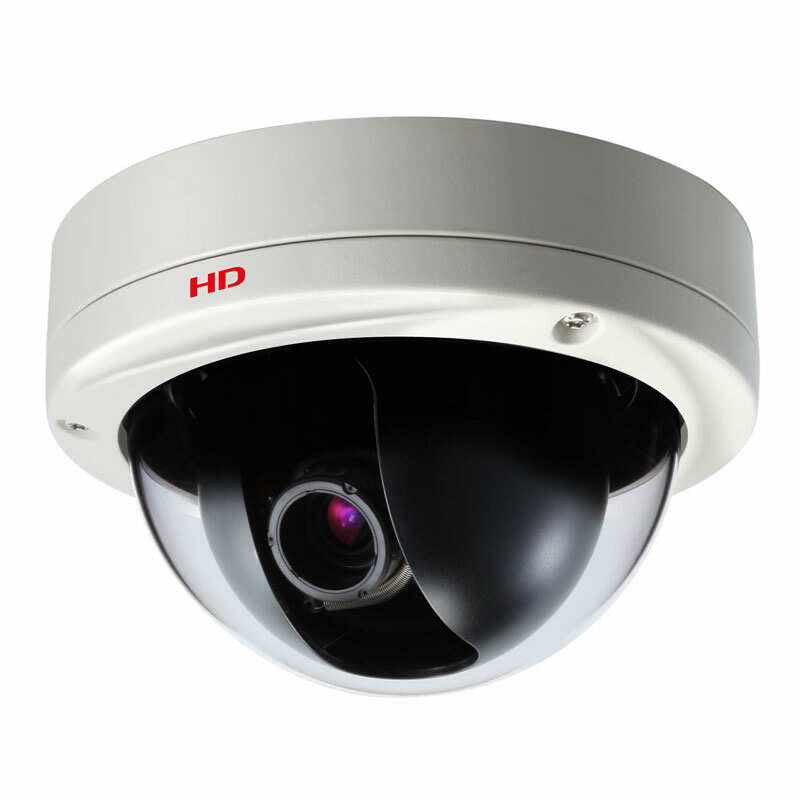 Major distinctions between HD and IP cameras. 1. 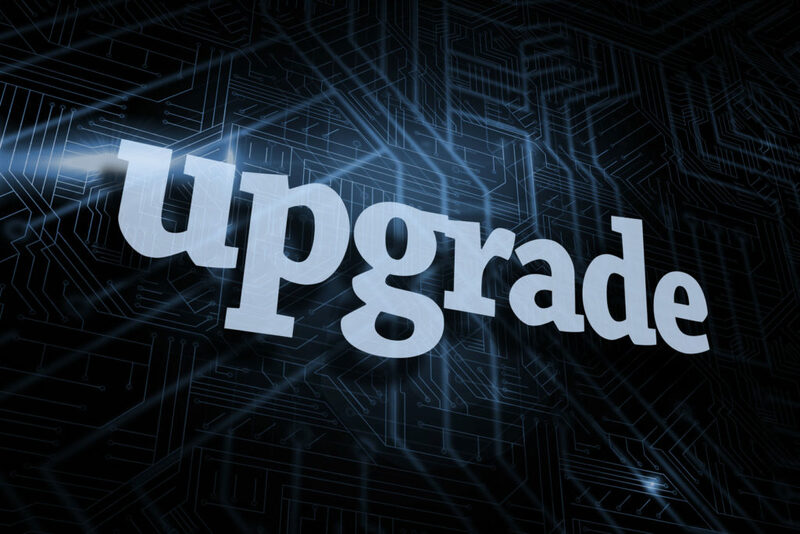 Upgrade cost advantage. We have already stressed the advantage of HD analog in terms of rescuing sunk wiring installation investments when the customer wishes to modernize from their initial VGA resolution surveillance video. This can represent a 25% or even greater reduction in cost for the same basic performance. 2. Server side processing. The major structural difference between these new cameras and IP technology is that the video processing occurs server side vs onboard with the camera. The video is transmitted uncompressed at highest bandwidth along dedicated transmission lines – typically coax – outside of any IP network. Video processing and conversion to IP then occurs in multichannel encoders. After encoding the video channels are essentially the same as an IP camera. Because less occurs onboard the cameras they are lower in cost. Although this cost difference is partially offset by the cost of the multichannel encoder, when high camera counts are involved the cost-efficiency of 8 and 16 channel encoders come into play. 3. Advanced Camera features. Some IP camera features continue with HD analog configurations but definitely not all. Onboard video analytics, onboard de-warping of panoramic cameras, flexible multi-streaming, remote browser control of almost all camera parameters and remotely upgradeable performance via firmware are all specific to IP cameras. analog and IP solutions comes into view. compressed video. This means PVM viewing of live video without the distracting lag compared to actual movement. support for these transmission standards will permit un-hackable security for wireless external video where IT management resisted this due to general security concerns. As can be seen HD analog is truly an emerging technology which means that its fullest implementation is still developing. But its development has been so rapid that it is one of the leading developments now in surveillance technology – for some the leading development.